Airy knitted girls t-shirt. This very fine knit cotton makes it great to wear in summer without anything underneath. For warmth comfort, choose a silk or merino wool longsleeve as a base layer. Airy knitted t-shirt. This very fine knit cotton makes it great to wear in summer without anything underneath. For warmth comfort, choose a silk or merino wool longsleeve as a base layer. Our favorite timeless essential! Gorgeous sailor sweater knitted in a very soft quality organic cotton. With schoulderbuttons detailing. Both for boys and girls. Dot blouse shirt that wears like a light sweatshirt. Very fine knitted cotton which makes it great to wear in summer without anything underneath. For warmth comfort, choose a silk or merino wool longsleeve as a base layer. Cotton rib sweater in a combined color of seagrass green and blue. Wearing this sweater makes all eye colors come out beautifully. 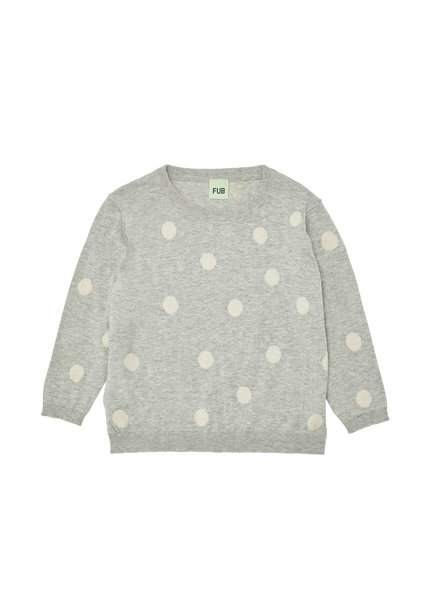 Knitted in 100% organic cotton. An ideal spring sweater. Cheerful oversized shirt that wears like a light sweatshirt. Very fine knitted cotton which makes it great to wear in summer without anything underneath. For warmth comfort, choose a silk or merino wool longsleeve as a base layer. Cotton ankle socks with a fine knitted rib structure. These sporty navy stripe socks look great worn in sandals, ballerinas and even sneakers. Cotton ankle socks with a fine knitted rib structure. These sporty socks look great worn in sandals, ballerinas and even sneakers. Knitted merino mittens from 100% organic merino wol (Oekotex). Available in 3 sizes. A beautiful wool sweater with striking value. 100% merino wool (Oekotex). Fine knitted with beautiful striped details at chest and sleeve. Soft to the skin and warm! 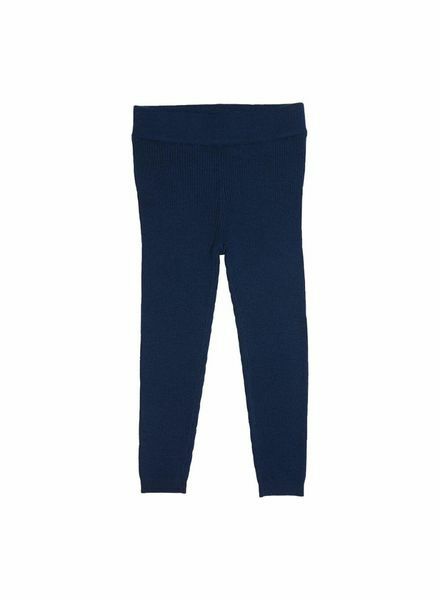 Extra fine knitted merino leggings from FUB in navy. Also available in light grey.